A Kogi State High Court has ordered that the senator representing Kogi West, Dino Melaye, be moved to the National Hospital, Abuja. This followed the refusal to grant bail to Dino Melaye on Thursday when he was hauled before a Senior Magistrates’ Court sitting in Lokoja, on seven counts bordering on criminal conspiracy and illegal possession of fire arms. 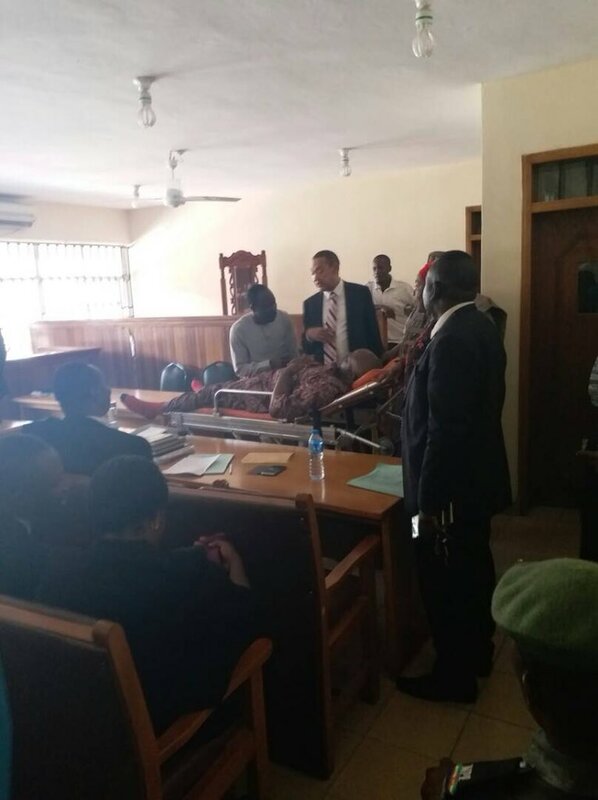 The trial judge also adjourned till Monday, 7th, May for continuation of hearing in a written bail application filed by Melaye’s counsel, Chief Mike Ozekhome, SAN, asking for a variation of the remand order placed on him. The Chief justice of Kogi State, Justice Nadir Ajanah, who presided over the proceedings on Friday, said that in view of the critical health conditions as espoused by the counsel to the applicant, he should be moved to the National Hospital, Abuja, for proper medical attention. Punch reports that counsel to the defendant, Mike Ozekhome, had argued that Senator Dino Melaye was a chronic asthmatic patient who gasped for breath on Thursday while being arraigned and had to be given his special inhaler right there in the courtroom and in the presence of the trial magistrate, Sulyman Abdalah. In an interview after the order, Ozekhome said that the judge was convinced beyond all reasonable doubts that the Police Clinic facilities in Lokoja could not meet the medical needs of Senator Dino Melaye.